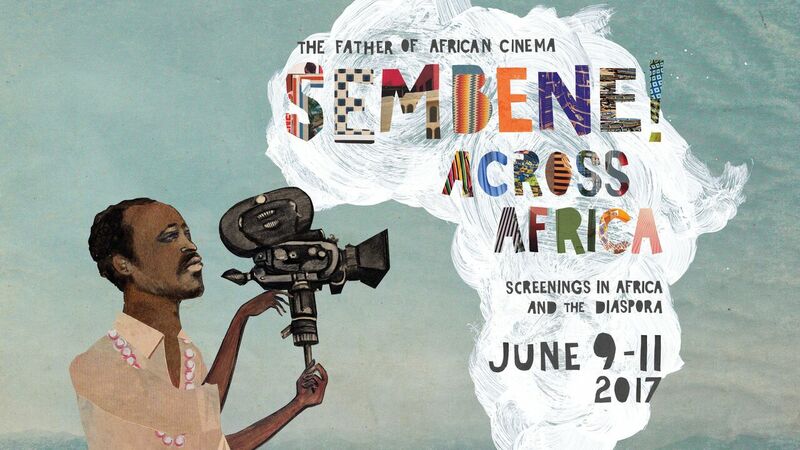 This past weekend, people across Africa (and beyond) took part in Sembene Across Africa, an unprecedented community screening of the award-winning documentary film SEMBENE! Grassroots efforts galvanized three days of free public screenings and house parties in 130 venues in 38 nations, plus additional online streaming and network broadcasts in many more. The film, which premiered in competition at the Sundance and Cannes Film Festivals, celebrates Ousmane Sembene, the “father of African cinema,” who over the course of decades was the first to shape a meaningful, visionary cinema for a newly independent Africa. Following this revolutionary event, which finally brought the film home to Sembene’s native land, we talked with co-director Samba Gadjigo about his impetus for the film and the impact of recent screenings. You have become the leading scholar on Ousmane Sembene. What initially brought you to the study of Sembene? I first read the novel God’s Bits of Wood, by Ousmane Sembene, when I was 17 years old. My entire universe shifted by the time I finished it. I had come from a small village in eastern Senegal, on the border with Mali, that had no running water, no electricity, no newspapers. The first time that I heard a radio, I walked around the back of it to see who was speaking. But when I left the village, to go across the country for secondary school, I was suddenly immersed in European culture. Our curricula was French literature, European history. I saw TV and movies. We spoke French. I dreamed in French. I imagined what my life would be like when I became Parisian. I was soon forgetting where I came from, even though I was still there! Then a teacher gave me the Sembene novel. It was the very first book I had read by an African. It was the first book I read about Africans. And in the book, Africans were the full equals of the French, if not economically, then, certainly, in terms of moral clarity and tactical force. It still brings me to tears 45 years later. When did you first meet Sembene? In 1989, 17 years after reading the novel, I had become a huge fan of Sembene’s. I was by then an American academic, and had watched his films at the University of Illinois (they were not available in Dakar). So I sent him a fax. He rejected my offer to meet. So I got on a plane and in essence sat in his office until he agreed to spend time with me. Eventually I gained his trust. I became his biographer, translator, helper, and friend. We worked together for 17 years, until his death this week in 2007. Sembene spent 50 years working towards making movies and films. And I imagine it had to be difficult to produce and fund these projects. How did he stay focused? Sembene’s goal was to give African stories back to the Africans who—like me and all of my classmates—had lost them in the unrelenting flood of European and American and Arab stories—through movies, books, schools, radio stations, newspapers—that had come to define African culture in the 20th century. Did he succeed in returning African stories to Africa? No, in this specific goal, Sembene failed. His books could be found in African universities, yes, and were occasionally taught. But 90 percent of Senegal is illiterate, so only a few could read them. And his films were nearly impossible to find. Just making the films and writing the novels was a herculean, impossible task. I can’t think of another human who could have dedicated 50 years with more passion, commitment and perseverance than Sembene did. But when he died, Africa was even more awash in foreign stories than they were in 1956, when he published his first novel. Sembene could write the films, raise the money to make them, produce them, direct them, keep his hand on the editor’s shoulder during the entire post-production phase. Just that was a giant task. He could not build movie theaters, or wrest control of the distribution networks from the French and British. He did far more than his share. There is already a lot happening in terms of African culture. In every corner of the continent, artists paint and draw and sculpt their experiences; filmmakers pick up cameras; writers craft stories. Youssou Ndour, the great Senegalese musician, has bought his own TV station. Our project is a seed, a suggestion. Perhaps others can find new tools, including the emerging digital opportunities, to consistently and forcefully provide Africans with African stories. And your project Sembene Across Africa fits into that well. Yes indeed! We just completed the project. We gave modest resources and a copy of a DVD of our film SEMBENE!, which I created with Jason Silverman, to activists, schools, churches, universities, NGOs, government agencies – and built free screenings for their communities. We produced, with our African partners, more than 120 screenings in 38 African nations (plus another dozen or so in the Diaspora), each with its own spin. Some included community feasts; one was part of a graduation ceremony. An organizer in Dakar built an entire day of film education, culminating with a screening; a film production company in Mozambique invited neighbors to screen in their studio. There were outdoor screenings and house parties. Thanks to Vimeo, we were able to make streams available, free of charge, globally for 72 hours. Sundance TV broadcast the film in 32 nations. It was an ambitious, if symbolic, attempt to give stories back to African communities. It was simply one of the best moments of my life, a culmination of the feelings and energies that have been building inside me since I read God’s Bits of Wood 45 years ago. My weekend of screenings began in Dakar, with a visit to Sembene’s burial site, before a seminar and screening at a library named in Sembene’s honor. Then we were off to a packed outdoor screening at the Place de Souvenir, on Dakar’s coastline. 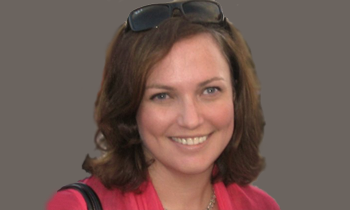 Through the weekend, I traveled to site after site, in rural Senegal and some smaller cities. Musicians sang praise songs; children were introduced to a hero they had not known. Those speaking Bambara, Fulani, Wolof, Ferere—all of Senegal’s ethnic groups—gathered in the same room to watch the documentary and Sembene’s film Guelwaar, in an African language. The issues Sembene raised 25 years ago, they agreed, remain resonant today. In that film, and in all of his films, Sembene put a mirror in front of Africans. Most of those who were introduced to Sembene will never be the same. And organizers throughout the continent, from Accra to Zanzibar, drew people to their own events For one weekend, Sembene’s dream—to use cinema as “an evening school” for Africans—came resoundingly true. Do you think it made a difference? Honestly, yes, I did. On the one hand, it is again business as usual in Africa. The same American dramas and French and British news shows are playing on our TVs. There aren’t many theaters left in African cities, but the ones that do are showing WONDER WOMAN, not African cinema. Students are doing their lessons in French, English and Portuguese. Africa is vast, and our small endeavor could reach only a tiny portion. But taken in combination with all else that is happening, and having experienced first hand how audiences responded, I’m feeling more confident than ever: there is a hunger in Africa for African stories. And there are so many gifted storytellers who want to tell them. It is only a matter of time until a true African renaissance is underway. Samba Gadjigo is, with Jason Silverman, writer-director-producer of SEMBENE!, which premiered at Sundance and Cannes and was named one of the ten best films of 2015 by New York magazine. He is a professor French and African Studies at Mt. Holyoke College. Follow the film on Facebook, Twitter and Instagram.